The idea of identifying a community vision and goals for our community is not new at all; there have been forty plus years of valiant and repeated efforts, costing various community organizations multiple tens of thousands of dollars, and generating voluminous input from many hundreds of citizens from every demographic. The citizens have spoken loudly and clearly, from Vision 2000, to Vision 2020, from TECAP’s Community Cultural Plan (in the broad sense of “cultural”–the desired nature of our community) to the Gateway Visioning project, from city-led Comprehensive Planning charrettes to chamber-led and community-peopled teams which have formulated Goals for the Community (many uncovered in historic files during Chamber renovations). The striking realization is that we citizens have been repeatedly expressing the same enduring dreams and values for our community over the years, as well as the results we want to see. ...as a thriving center for education, business and culture which attracts and serves us all. 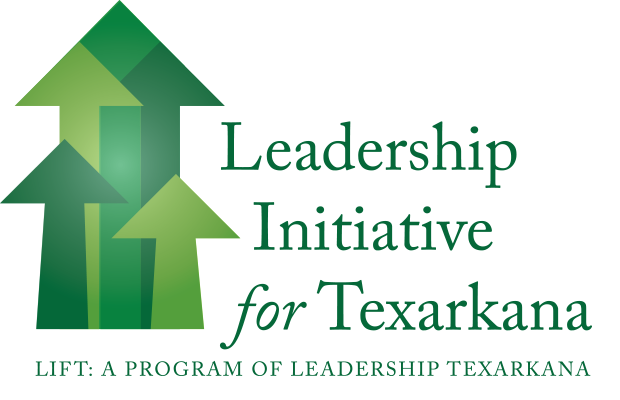 Leadership Texarkana leadership had researched, compiled and summarized past citizen input in 2006, a document which was being used through the LT program as a foundation for the LT Class curriculum. However, its use was limited to that purpose until the LIFT Summit. Through a series of serendipitous events in conjunction with and following the LIFT City Leaders’ Summit (Jan 2013), LT leaders were motivated by the summit consultants, and beyond that by the City Manager of Texarkana, TX, to develop their working summary of those decades of citizen input into the LIFT Focus for the Future for the community, a document which authentically captures the enduring citizen wishes.